Here's the latest stash of goods from my last thrift shopping adventure. 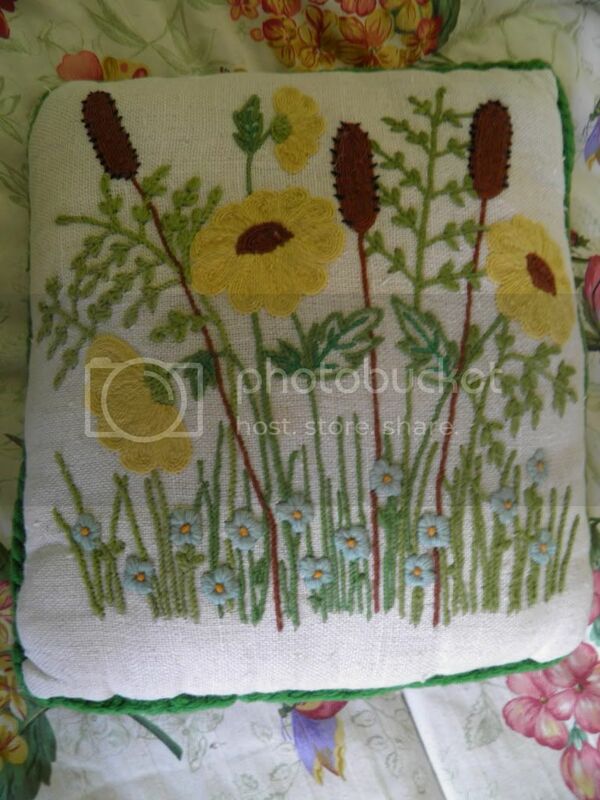 I just fell in love this cute embroidered pillow. With a good cleaning, it's now my husband's new "snuggle pillow." He likes to hug a small pillow when he's sleeping, especially when I'm not around. His old one was looking a little...um...worn. Speaking of embroidery...it's kind of become an obsession. 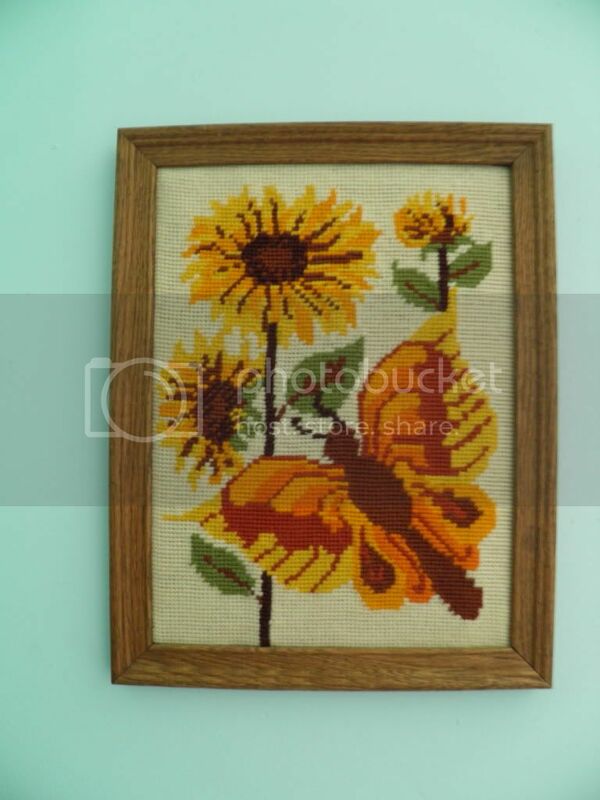 This beautiful embroidered picture is now hanging in our office. 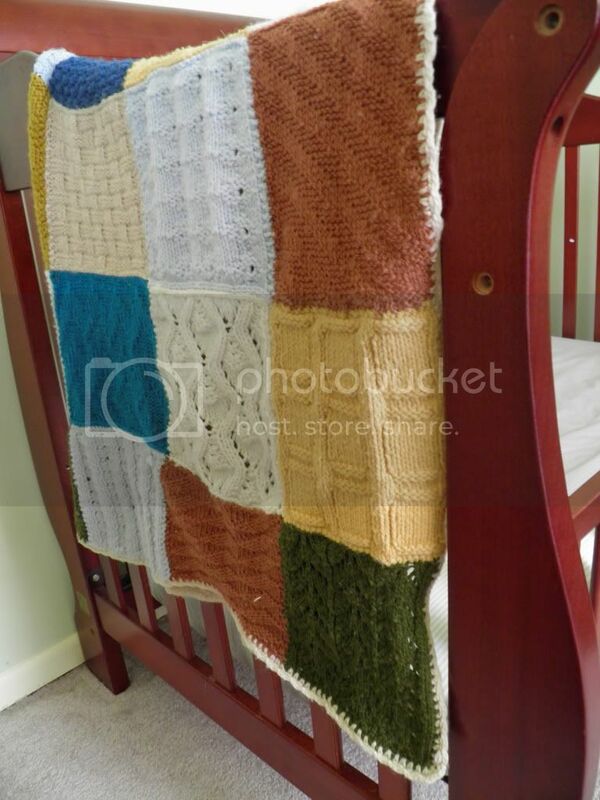 This beautiful hand-knit blanket is the perfect size for a toddler bed! And the colors were perfect for the Peanut too. I guess I have to give my husband a little lesson in dryers though. He has since felted a few of these knitted squares. Oops! 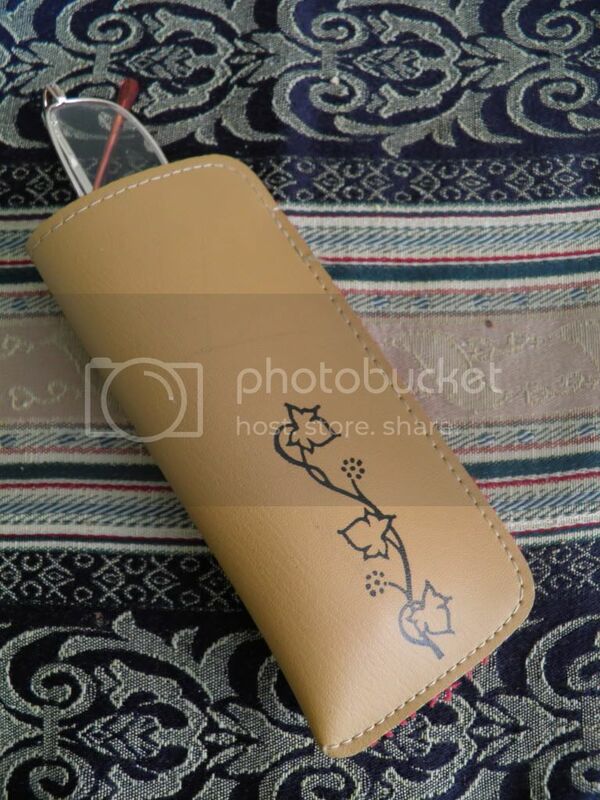 I've kind of been on the lookout for a small glasses case. As I sifted through the thrift store stash, I unearthed this cutie. The vine design was worth so much more than $0.50. Yay! I also picked up an atlas and some pretty vintage papers for my art journal. It was a productive trip, I'd say.